The Board of Trustees of San Diego Zoo Global invited all of the city of San Diego to celebrate the Zoo’s Centennial. For special donors and friends, the celebration began at The Prado Ballroom in Balboa Park with a VIP reception with cocktails and hors d’oeuvres. 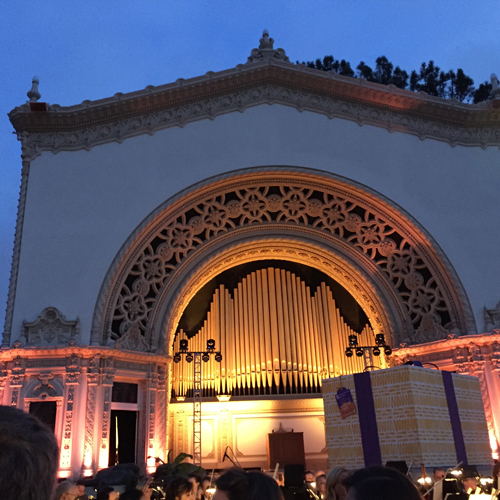 The celebration moved to the Spreckels Organ Pavilion where there were a variety of events. 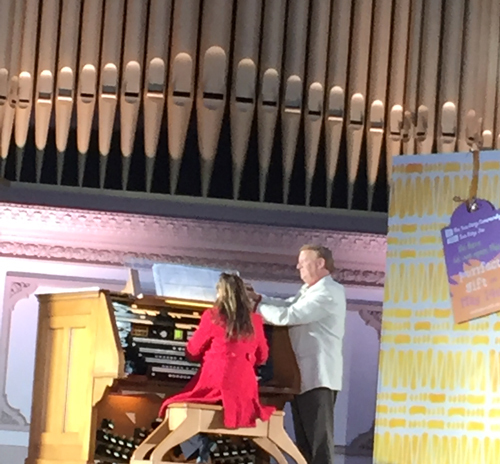 Dr. Carol Williams performed a medley on the world’s largest outdoor pipe organ. 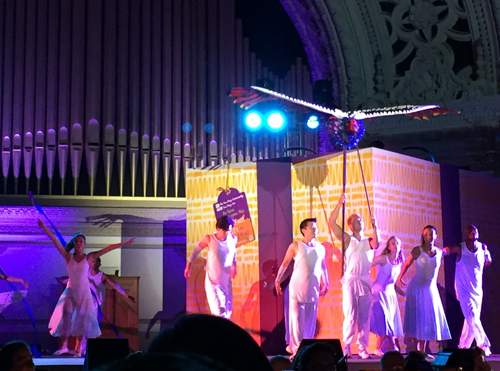 The World’s Record for the largest puppet show was broken by attendees. Then as the sun set, an amazing light show was projected onto the Organ Pavilion building along with dancers and music. Tony and Grammy award-winning artist, Heather Headley sang supported by a large volunteer choir who stood around the edges of the Pavilion. 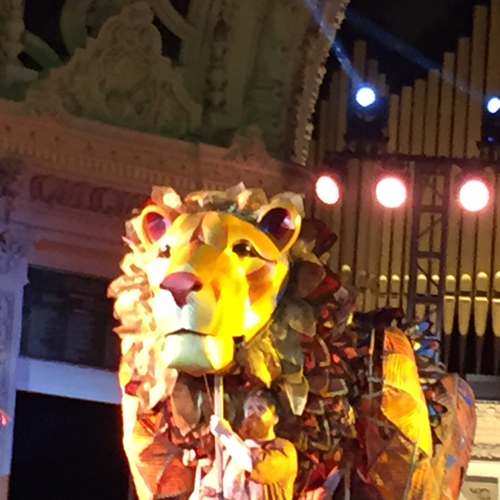 Three gigantic gift boxes were opened to reveal enormous Elephant, Condor and Lion puppets. 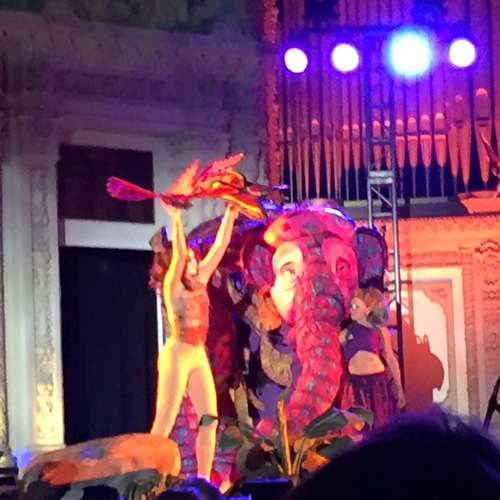 It was an evening to celebrate the Zoo’s 100th birthday and the beginning of the next 100 years.